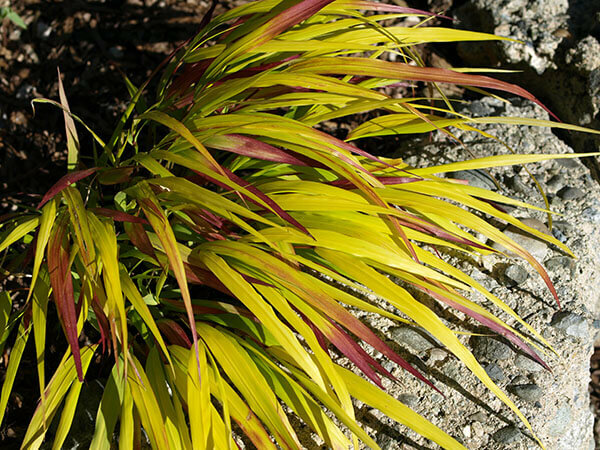 SunFlare™ Hakonechloa offers an amazing color spectacle throughout the season. 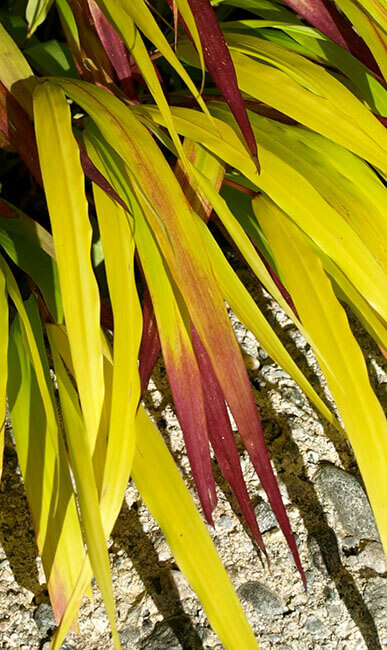 It has vibrant, chartreuse/ golden-yellow foliage with deep crimson tips. In fall, the colors turn to chartreuse and gold with tones of burnt orange and burgundy-red. SunFlare™ is hardy to USDA Zone 5a and becomes 12-18” tall and 18-24” wide. It has a bushy, compact habit and prefers a spot in the sun or semi-shade in a moist, humus-rich and well-drained soil. 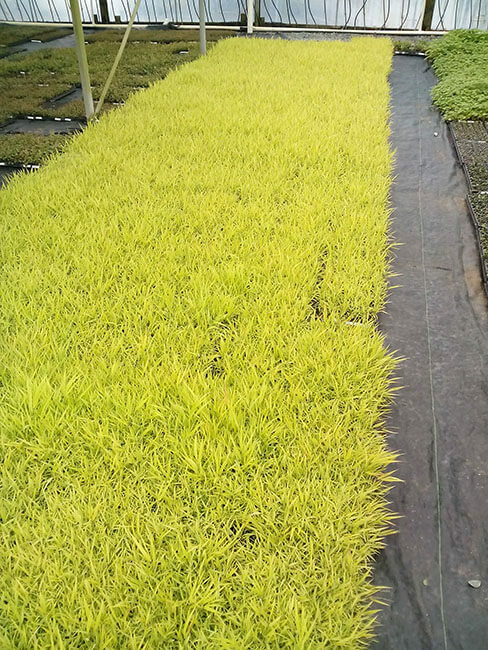 SunFlare™ is excellent for on your patio or terrace but also very nice as a ground cover, in perennial borders, for mixed containers, mass planting, vertical walls and edge planting.